DFS Magazine "Mobile Services Quarterly"
Welcome to Dickinson Fleet Service’s quarterly magazine, designed to highlight our people and progress as a company, along with news and trends impacting our industry. 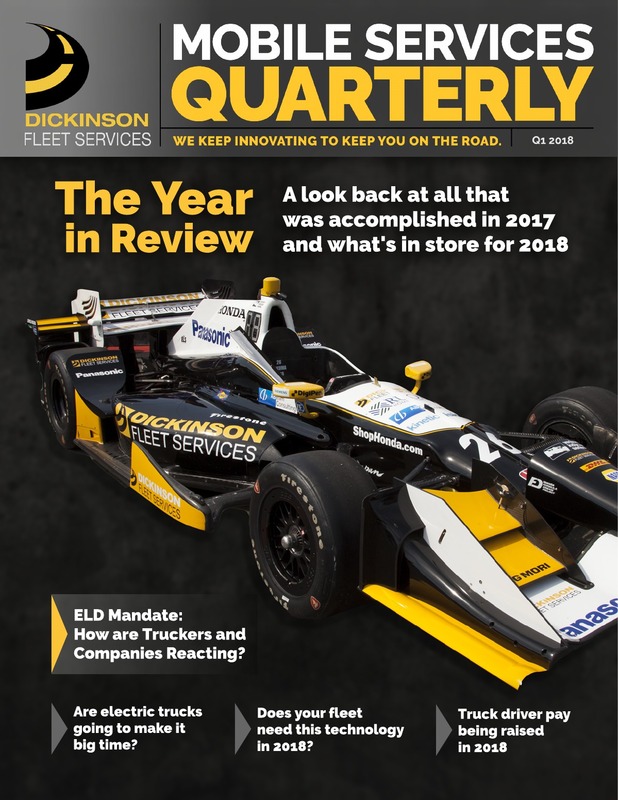 Each quarter we will address industry hot topics and concerns, keep you updated on newsworthy subjects and on important milestones with Dickinson Fleet Services. Our goal is to keep everyone informed about the industry and our company so we are able to serve our national customer base and further our goal of being the industry leader in Innovation and Gold Standard Customer Service.